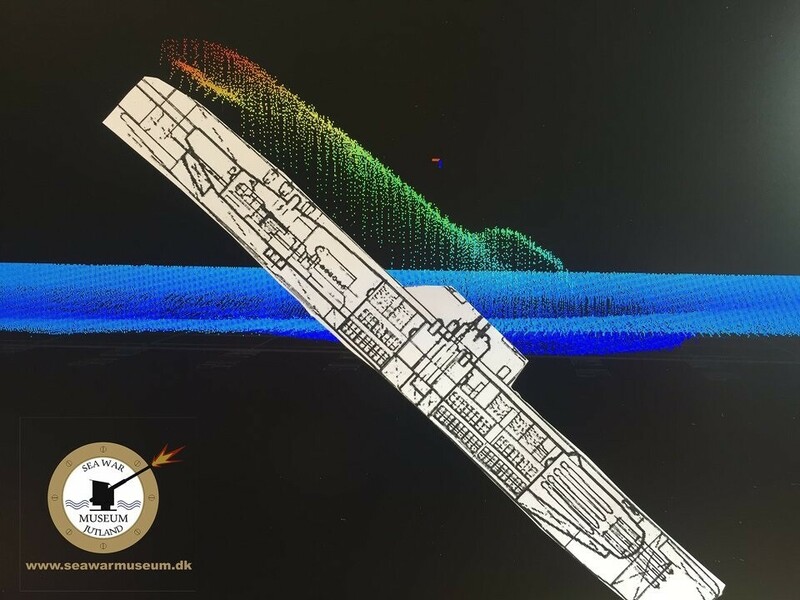 U-3523 appeared on the screen during the museum’s scan of the seabed ten nautical miles north of Skagen, and the picture was very surprising. 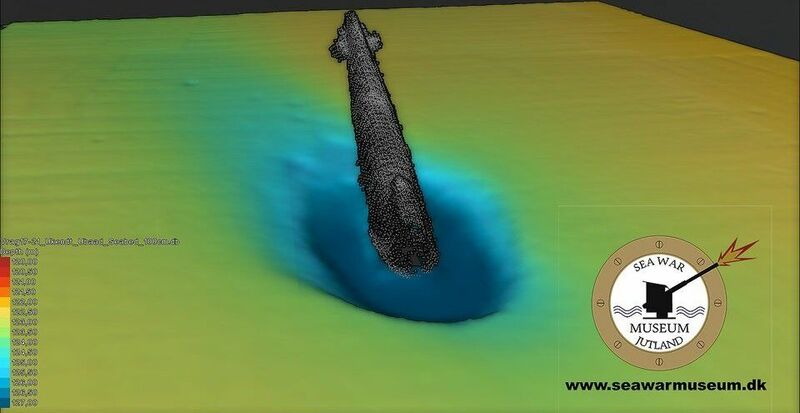 Most unusual the whole fore part of the U-boat lies buried in the seabed, while the stern is standing 20 meters above the bottom. The wreck lies at 123 meters of water, making it very difficult to access.